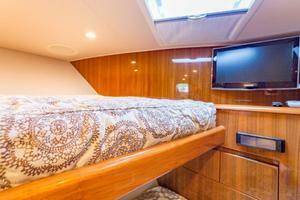 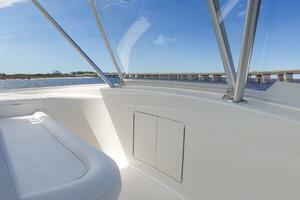 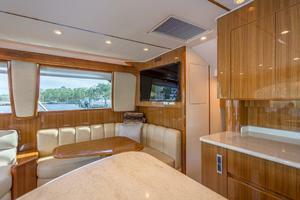 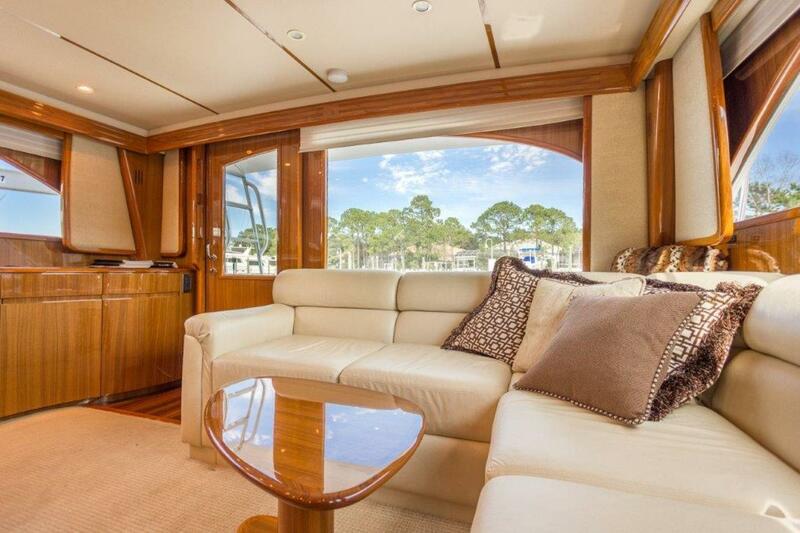 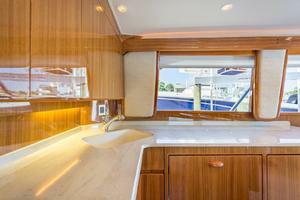 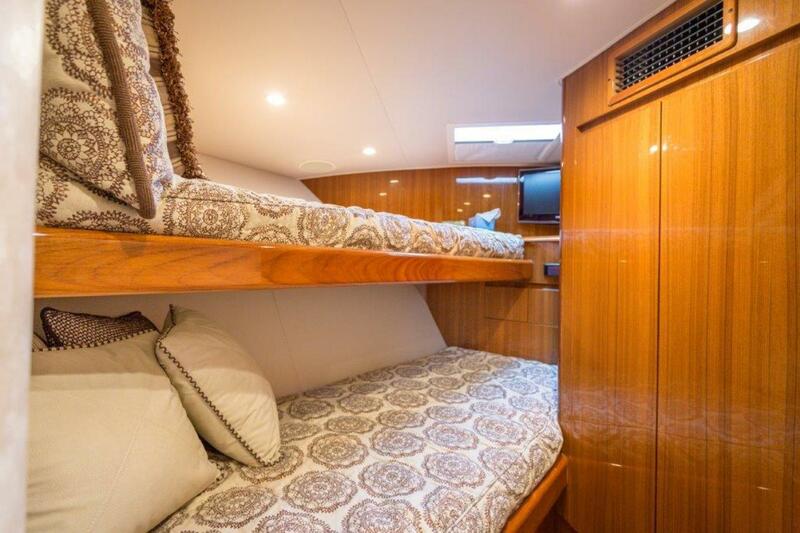 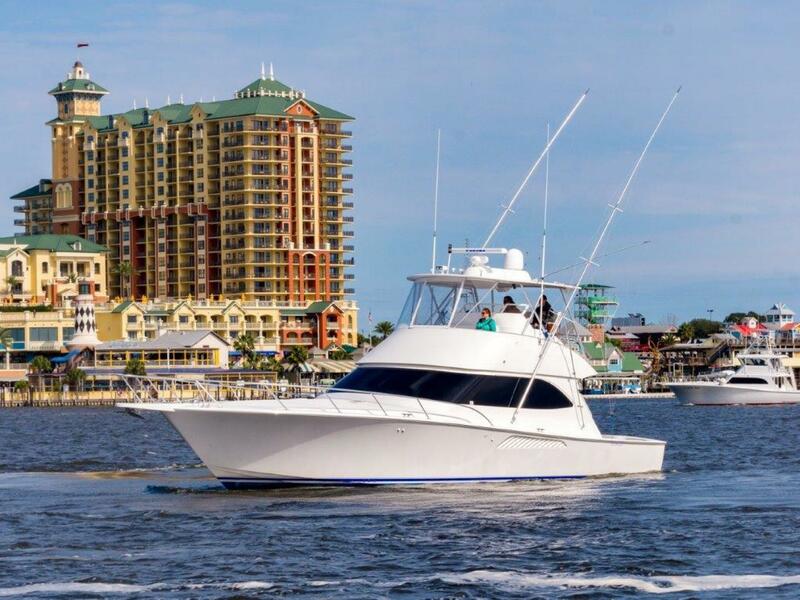 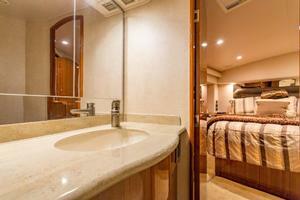 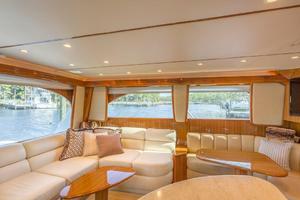 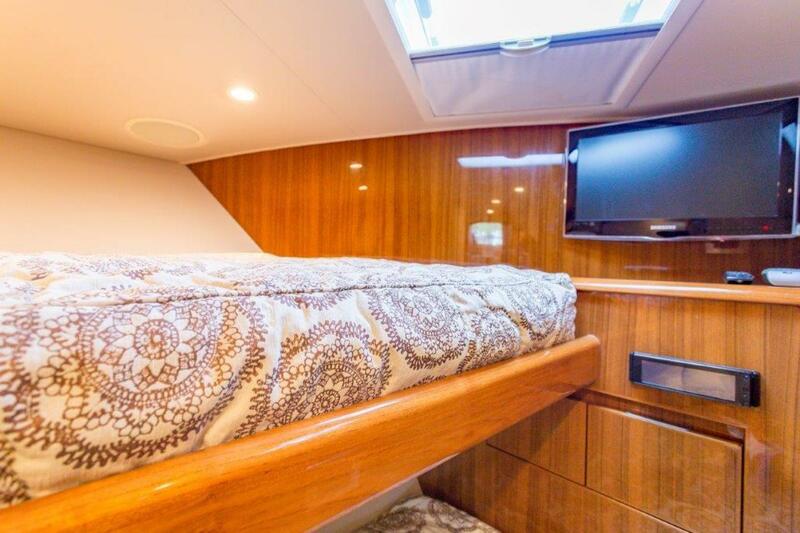 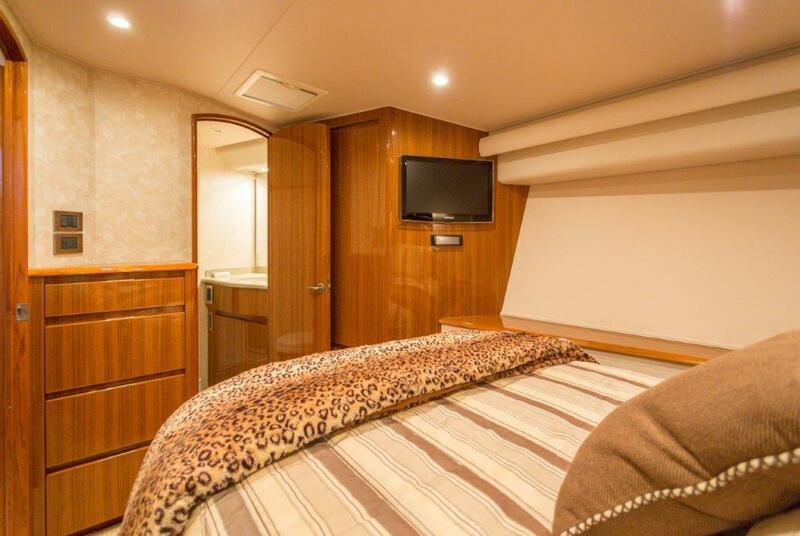 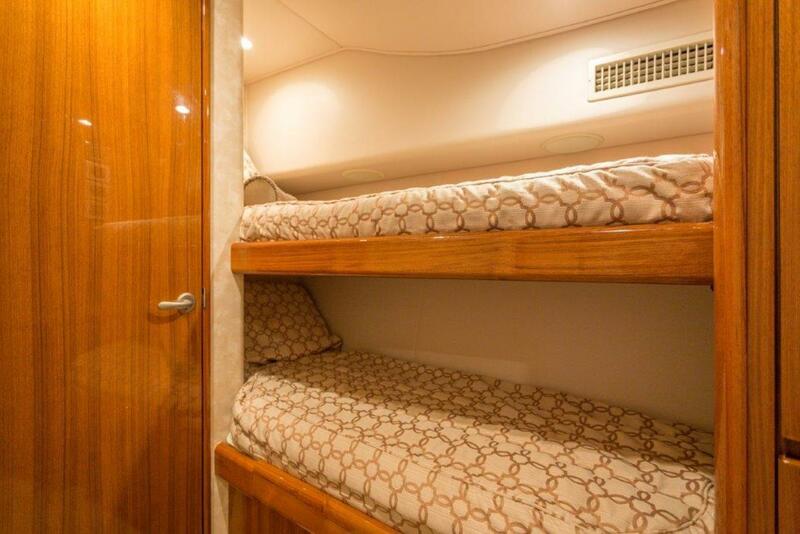 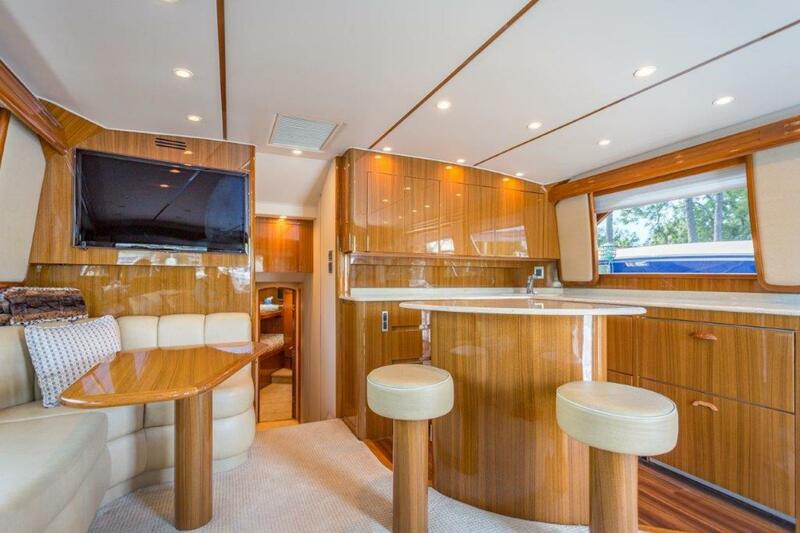 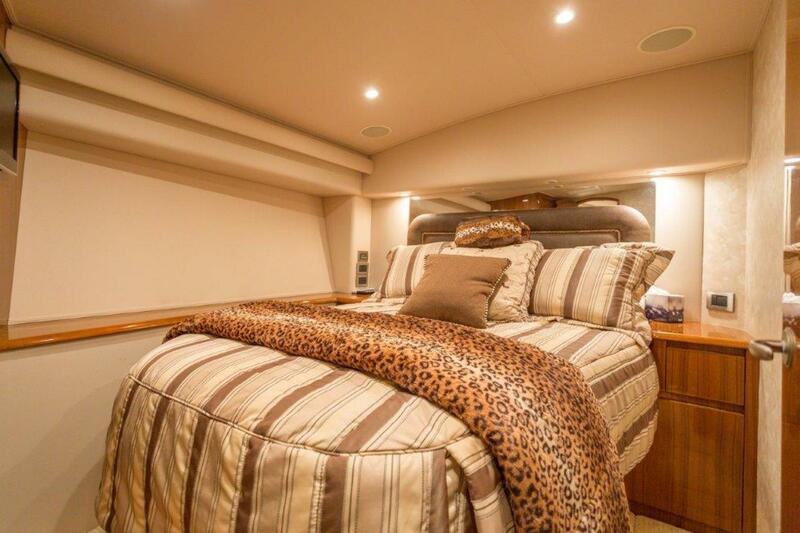 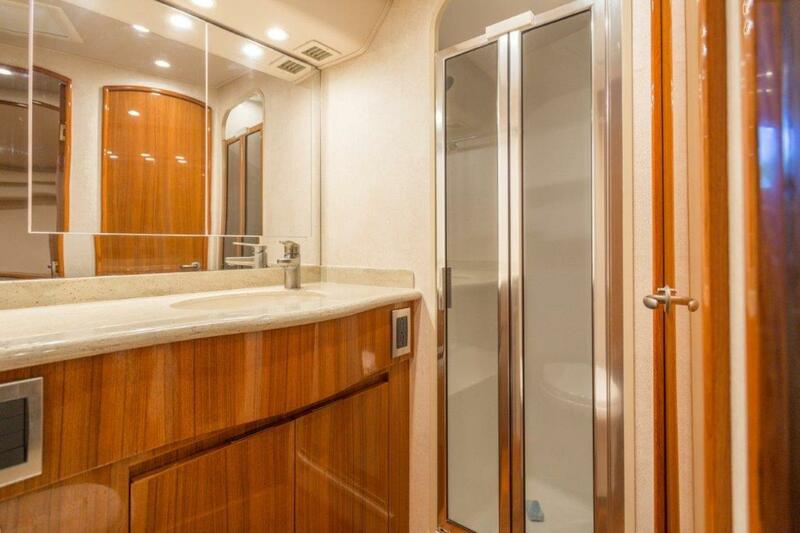 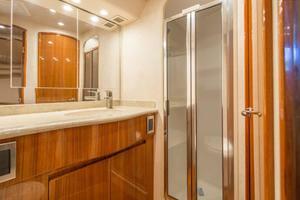 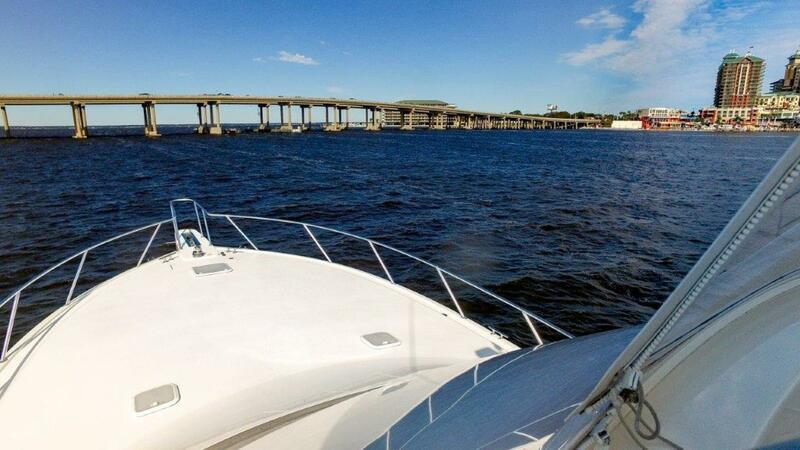 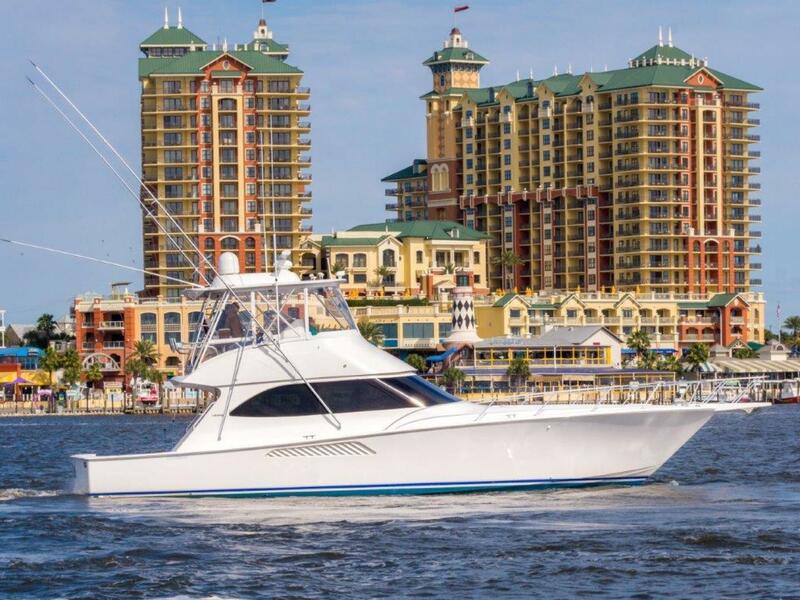 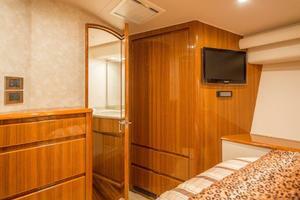 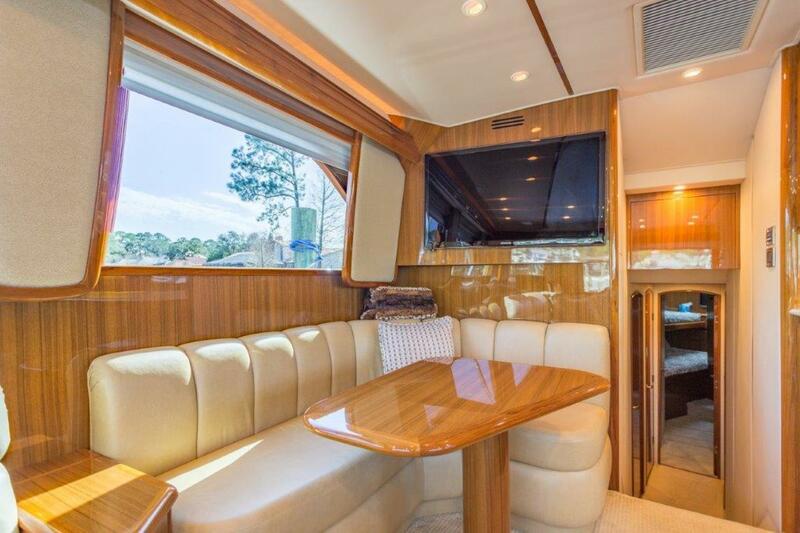 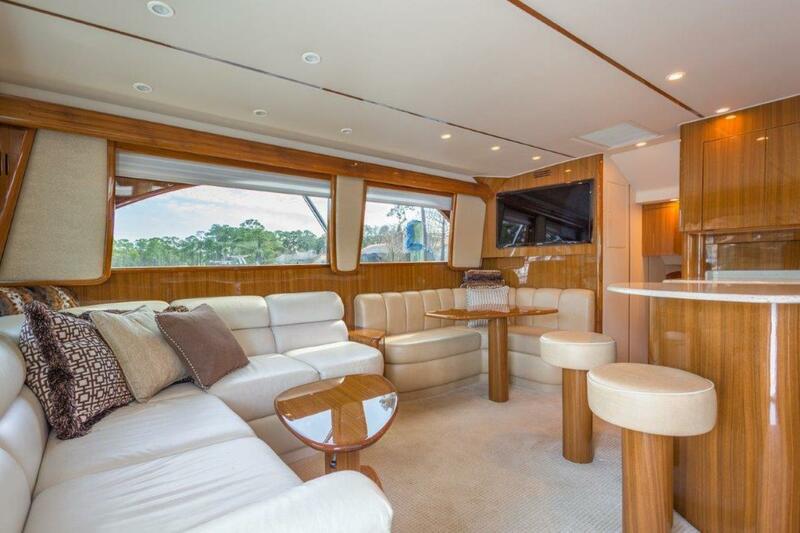 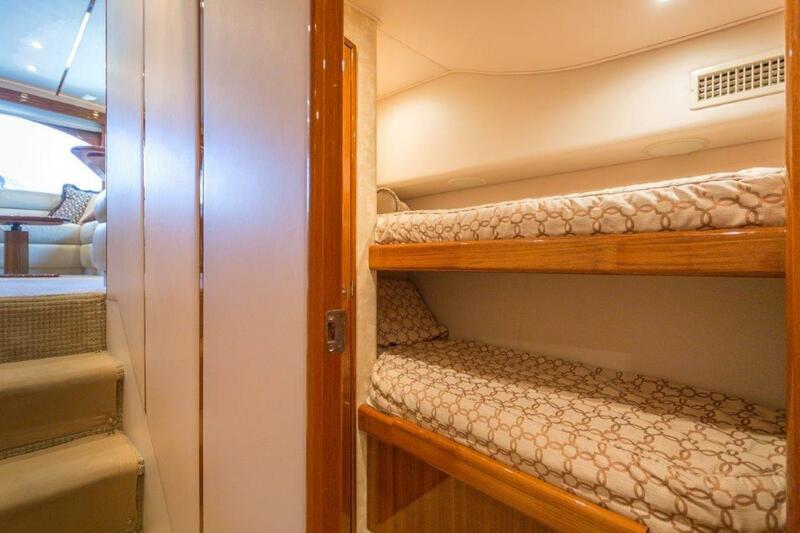 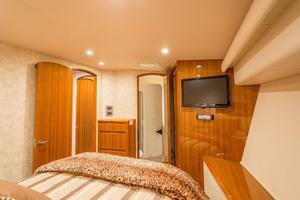 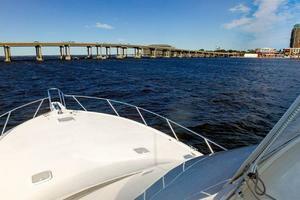 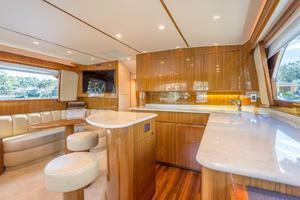 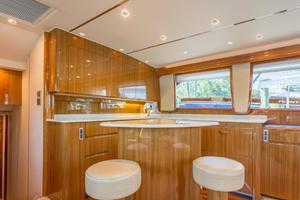 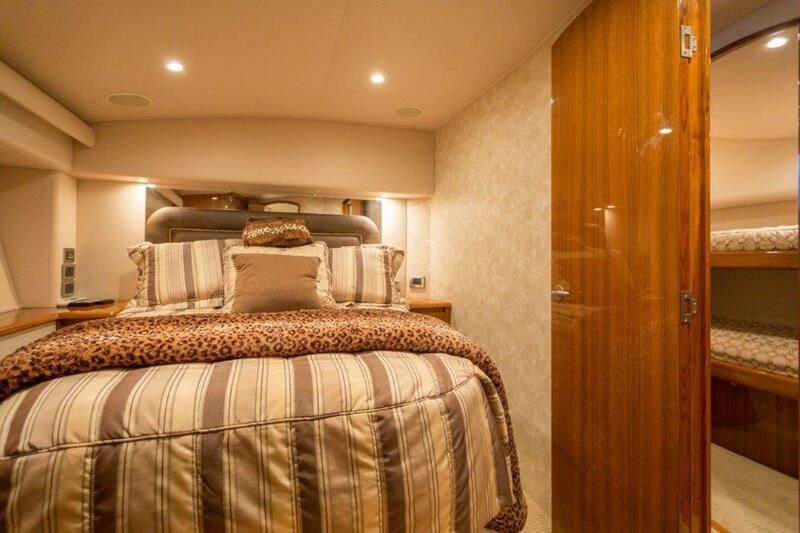 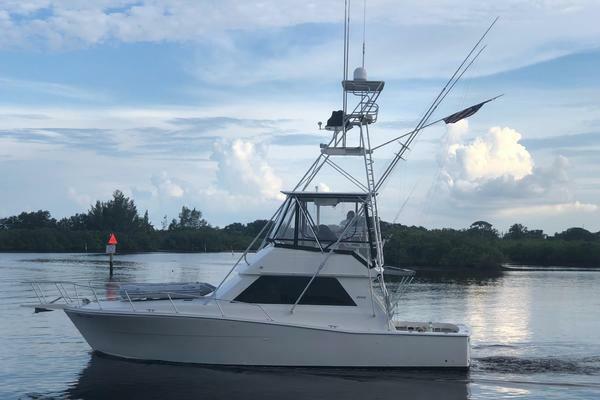 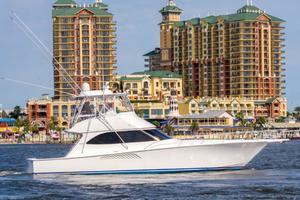 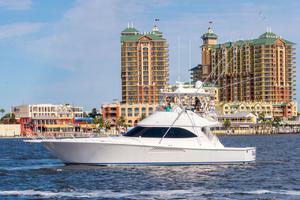 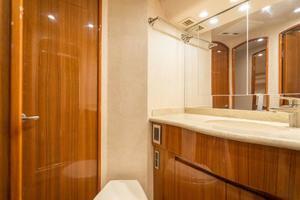 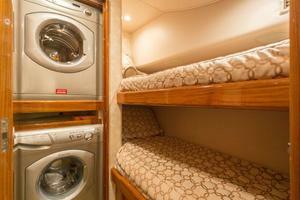 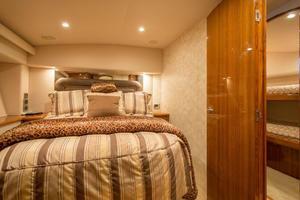 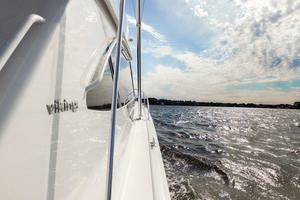 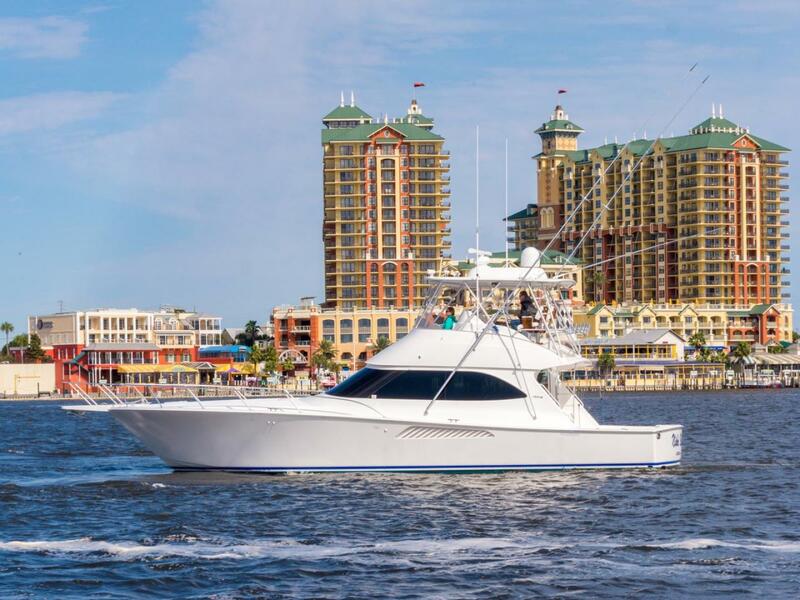 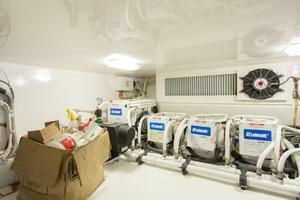 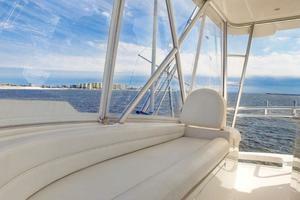 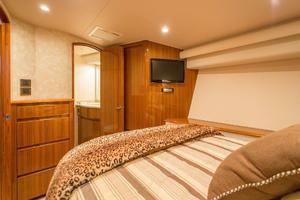 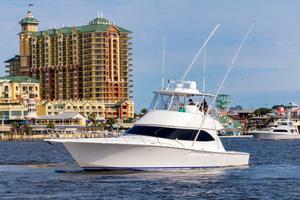 This 50 Viking features the three stateroom layout with island galley. Her interior features premier edition decor with gloss finish and brushed nickel throughout along with custom Amtico flooring in the galley and salon entrance. The walkthrough galley with Corian topped island and two barstools serves as the focal point once entering the salon through a sliding fiberglass door from the cockpit. The salon houses a home theater entertainment system along with a 37" flat screen TV. The three stateroom, two head layout offers generous comfort for six. The master stateroom has a queen-sized walkaround berth with lift top mattress with access to a private ensuite head. 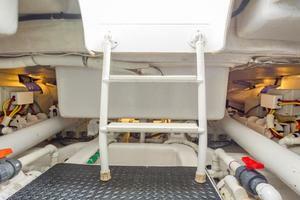 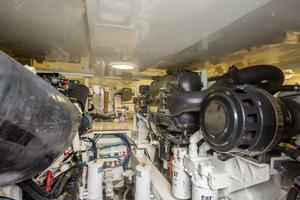 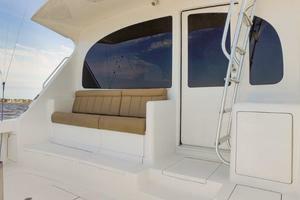 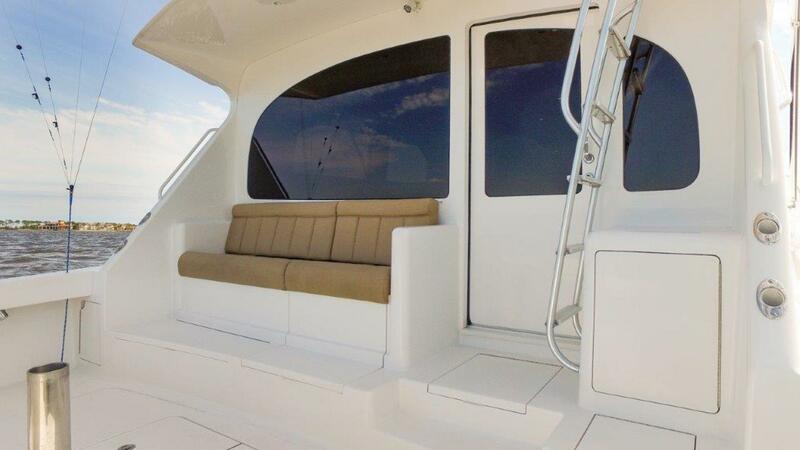 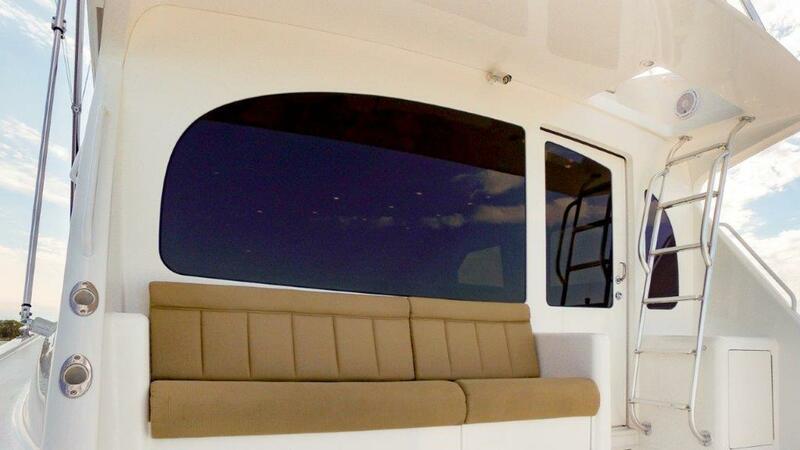 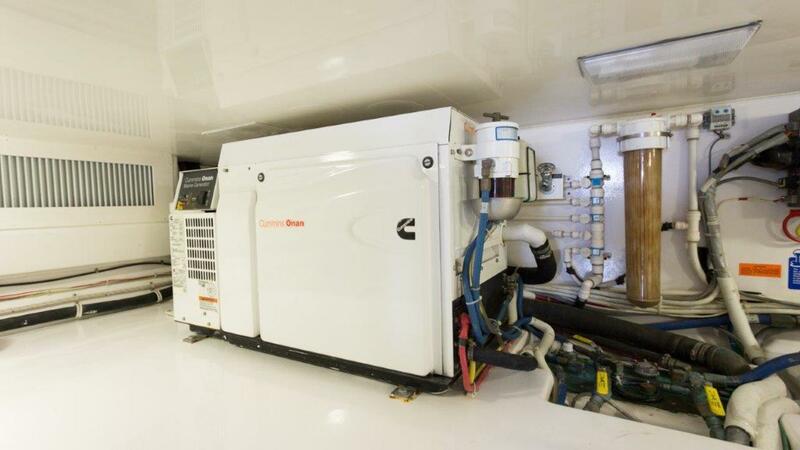 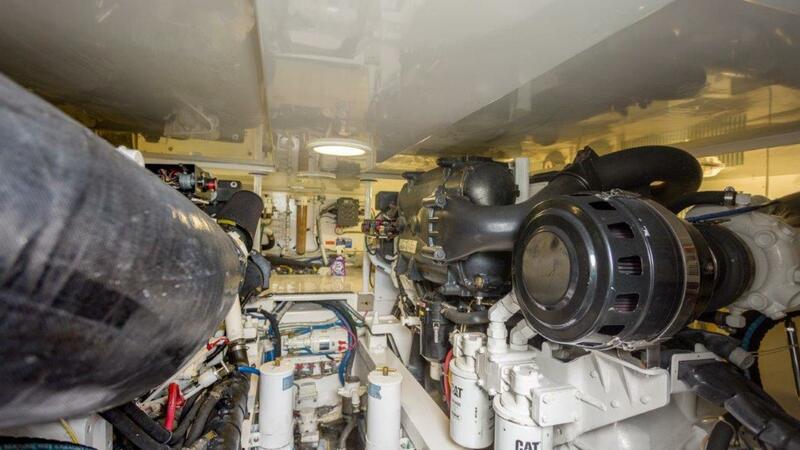 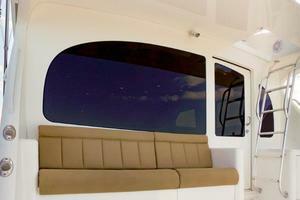 The port and starboard staterroms each offer upper and lower berths with a shared head. 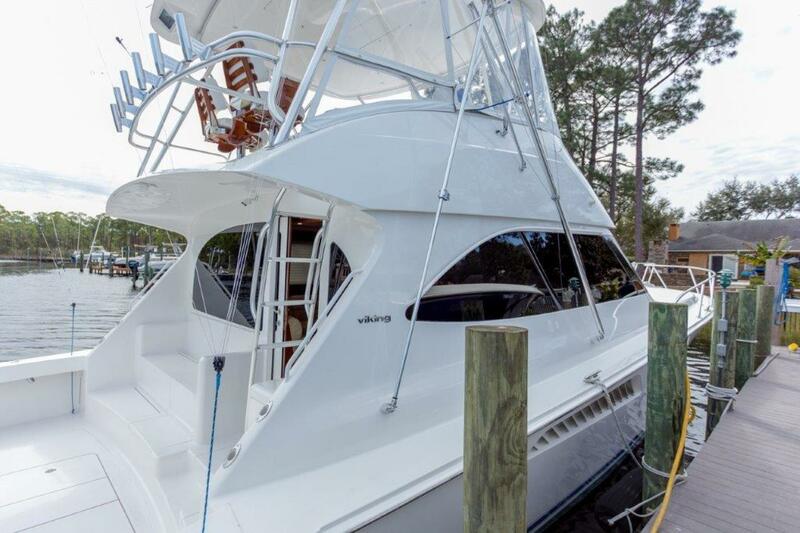 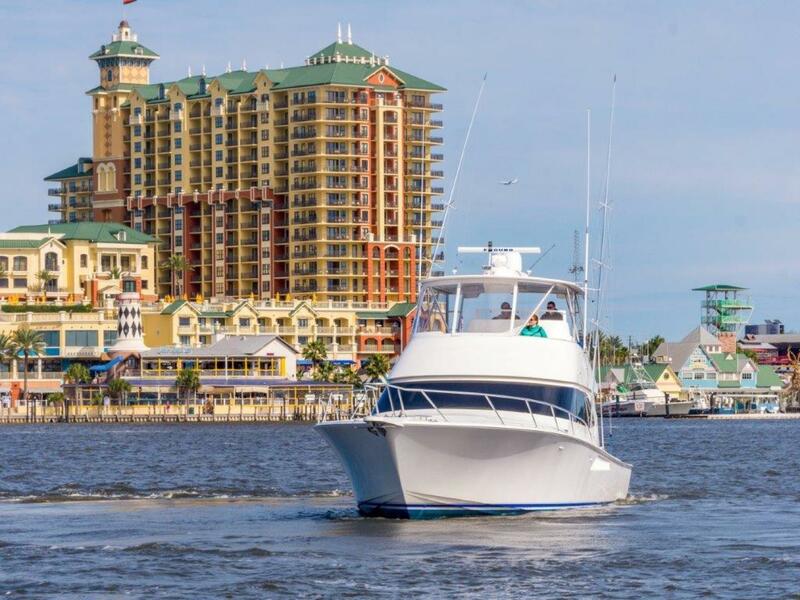 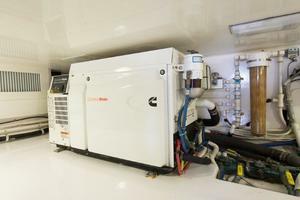 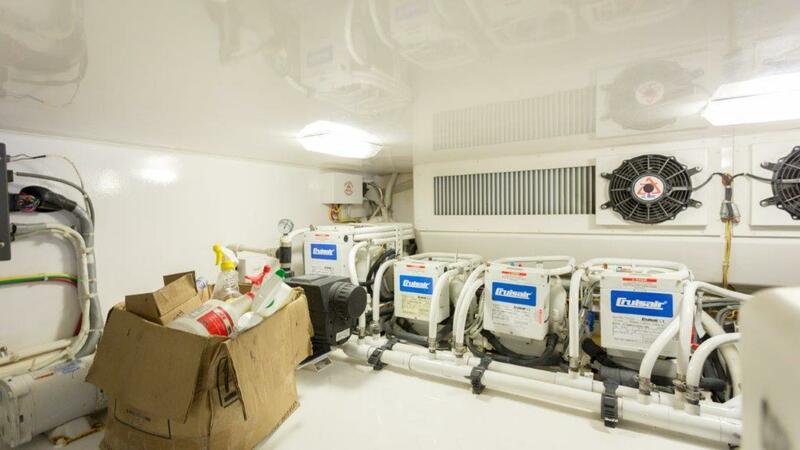 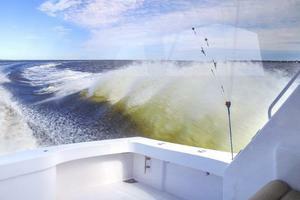 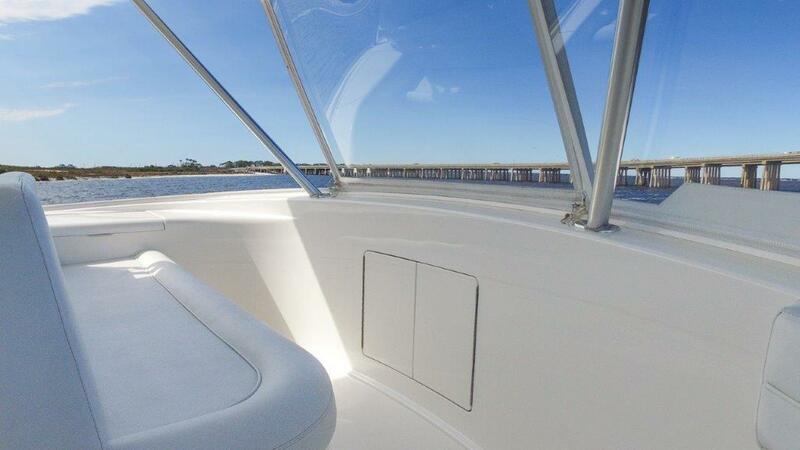 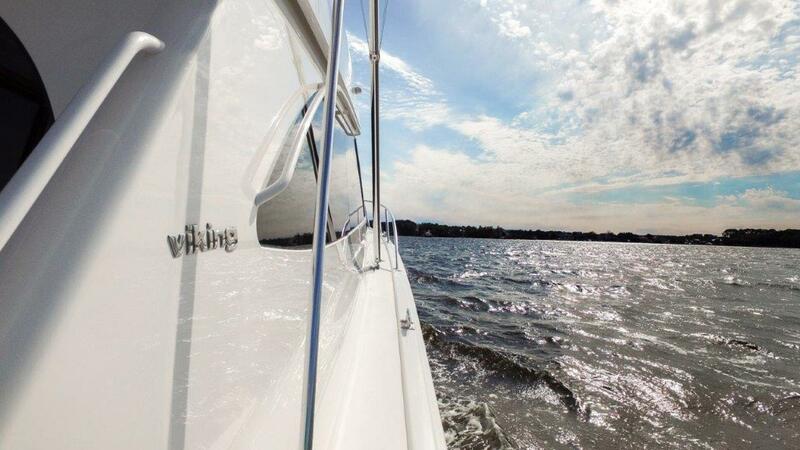 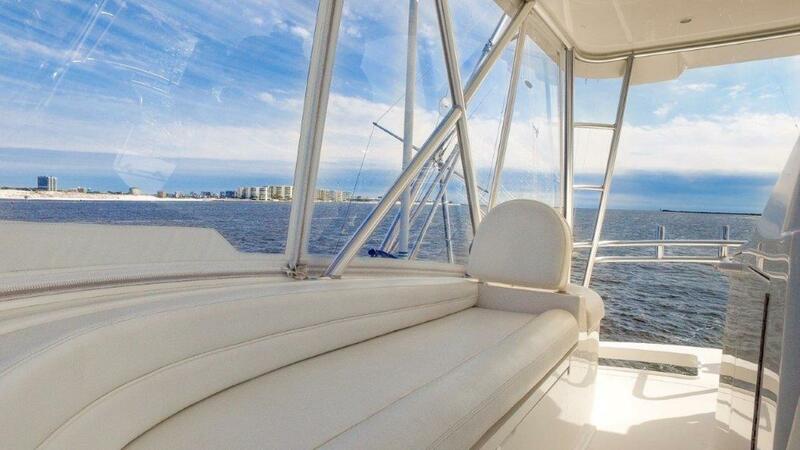 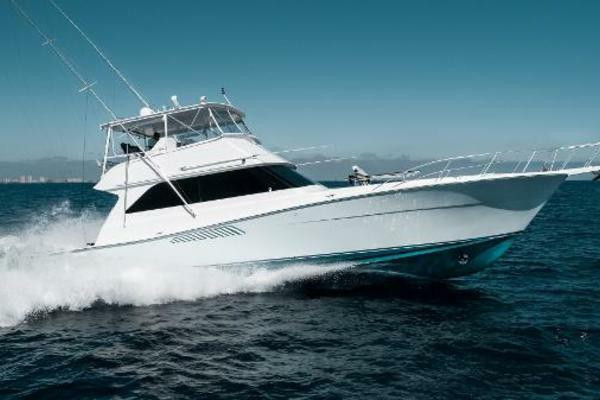 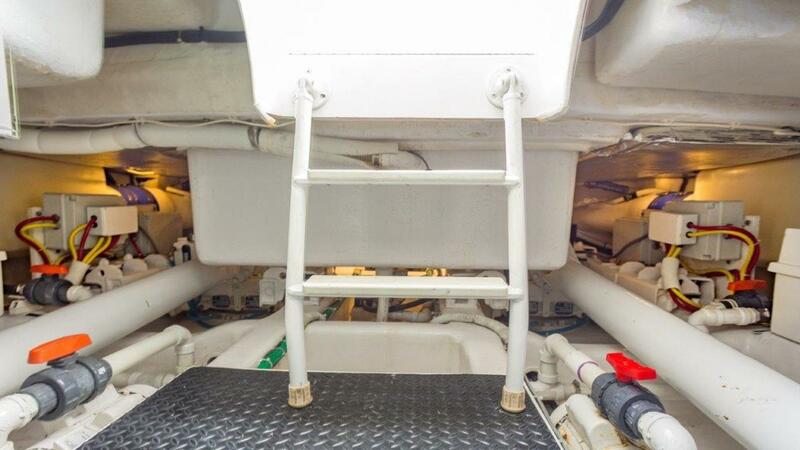 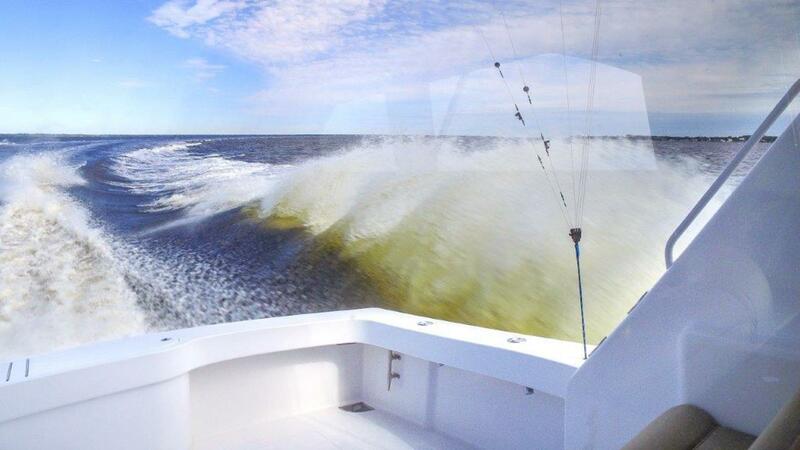 With power-assisted hydraulic steering and electronic engine controls, this 50 Viking is a joy to handle. 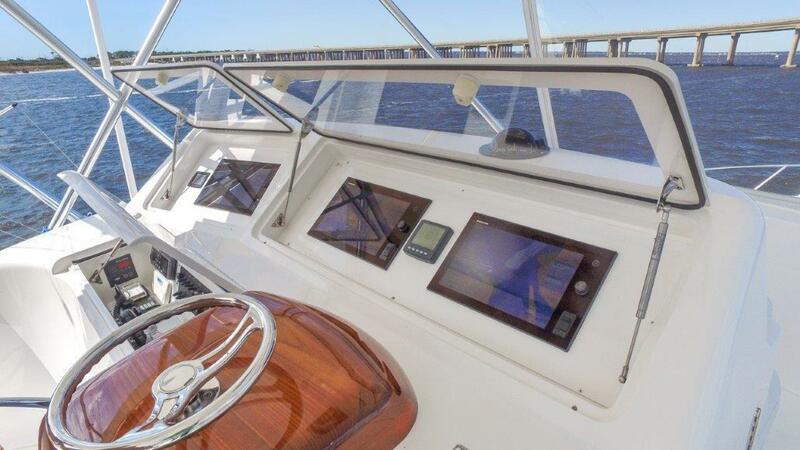 Visibility at the helm is excellent from one of two teak ladder back helm seats, due to a well designed console with custom styled control pod. 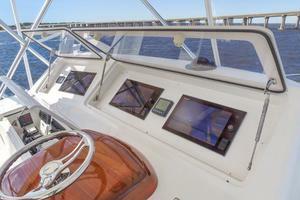 Built with Zeus Driver, for better handling and performance.